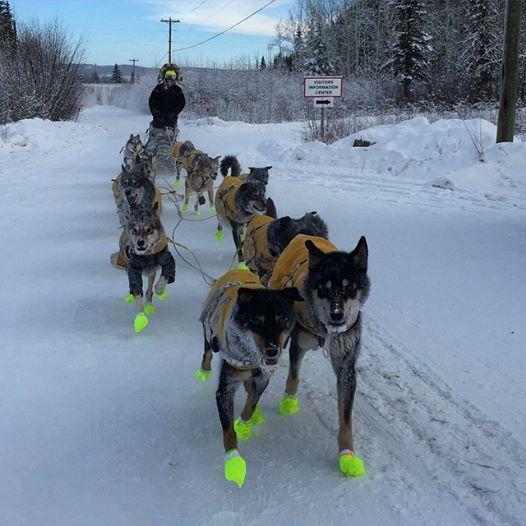 Dawson City, YK - Yukon Quest rookie musher Jason Campeau will have to wait an extra eight hours to leave Dawson City after he arrives with his dog team at the race’s halfway point. The time penalty comes after the musher accepted a new sled from friend and fellow musher, Jake Berkowitz. Campeau broke a sled runner on an ice section of trail near Carmacks. He was unable to secure the runner to continue his race. 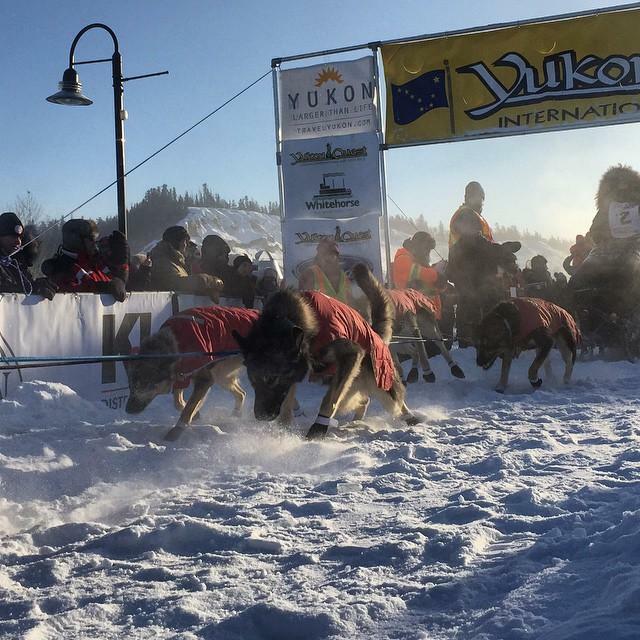 Berkowitz was running a second team for Campeau in the shorter Yukon Quest 300. Berkowitz offered to give up his sled in that race and scratch so that Campeau could navigate rough jumble ice on the way to Pelly Crossing. Race Marshall Doug Grilliot (Grill-EEE-OH) says the incident “wasn’t a big deal.” He says he authorized Campeau to trade out his sled, but the musher will stay in Dawson for 32 hours. Pelly Crossing, YK - On the Yukon Quest Trail, there are a few things mushers have to be especially picky about including a sturdy sled. Jumble ice near McCabe Creek, half way to Pelly Crossing, is testing sled engineering this year. When he’s not running dogs, musher Cody Strathe builds dog sleds for a living. “I built the same sled I built for about ten people this year, but it’s a nice sled and it was originally my design for myself,” he said. Pelly Crossing, YK - Along the Yukon Quest trail, Mushers experience all kinds of highs and lows. Sometimes their dog teams cruise. At other times a rough trail and harsh weather can make even the toughest musher question why they signed up for he race. In the last three days, almost every musher has had something to say about the persistent deep cold that has settled in over the Yukon. “None of us had thermometers with us because none of us wanted thermometers with us,” said musher Matt Hall. Carmacks, YK - Yukon Quest mushers continue to battle subzero temperatures, but the race is heating up as teams complete the first of four mandatory layovers. Mushers are trying to decide if they should rest their dogs early or keep moving and try to claim an early lead. 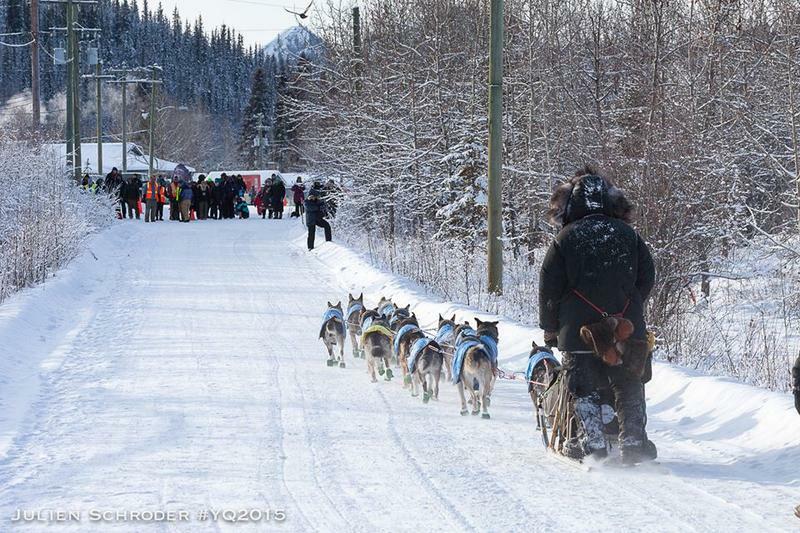 Perhaps it was no surprise Tok musher Hugh Neff arrived in Carmacks ahead of his competitors. In recent years, Neff has pushed his team early. “I just like to be out on the trail by myself, I don’t want to be around hoard of other people,” said Neff. 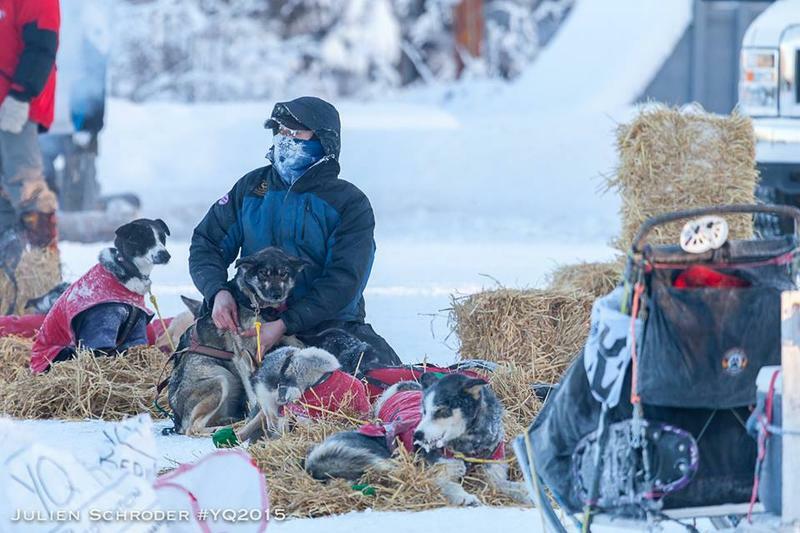 For Eureka musher Brent Sass, it was business as usual. Before he left Carmacks, Sass said he wasn’t worried about a rough trail. "Jumble ice is jumble ice, it’s part of the Yukon Quest and this is my 8th Quest and we’re pretty used to that,” said Sass.